Happy New Year! To get things moving, we’re now rolling out Readysell 8.23 to all Readysell 8 customers. In Readysell 8.23, we’ve focused on improving usability for key tasks such as sales, purchasing and end-of-month and have started laying the groundwork for upcoming CRM (customer relationship management) enhancements. Further to our recent change allowing you to show discounts on quotations, you can now also optionally show any combination of discount percentage, discount value and pre-discount value on your invoice layout (we currently show the pre-discount price and values after the discount is applied). This ensures clear communication with your customer about discounts they are receiving. 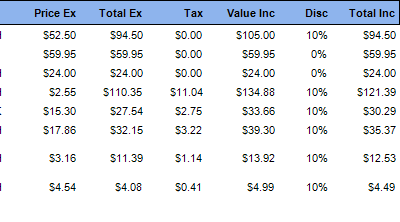 Sometimes there are cases where specific customers require tailored statement layouts. If you’ve created a tailored layout, you can select this as the default layout on the customer’s card, and it will be automatically sent to them as part of the regular statement run. 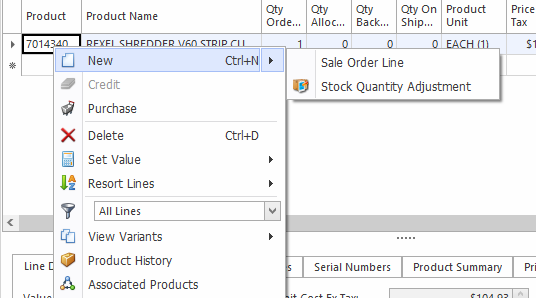 If you’re placing an order and notice your stock levels are incorrect, you can now quickly generate a stock quantity adjustment straight from the sale order by right clicking on the line. We’ll pre-populate the adjustment quantity with the quantity ordered so that you can get back to order entry as quickly as possible. To make things simple, feature is available on all product lines throughout Readysell. If you use the service component of Readysell, you can now keep track of hires and apply monthly help desk charges to machines. Just change the product used on a meter to be a product with a type of “Hire Charge” and set the price on the meter to determine the charge. 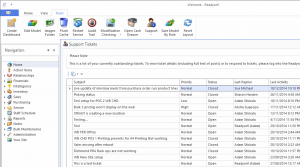 If you want to quickly see the status of your outstanding or recently resolved support tickets, just go to the “Tools” tab in Readysell, click the “Support” drop down and select “Existing Tickets”. 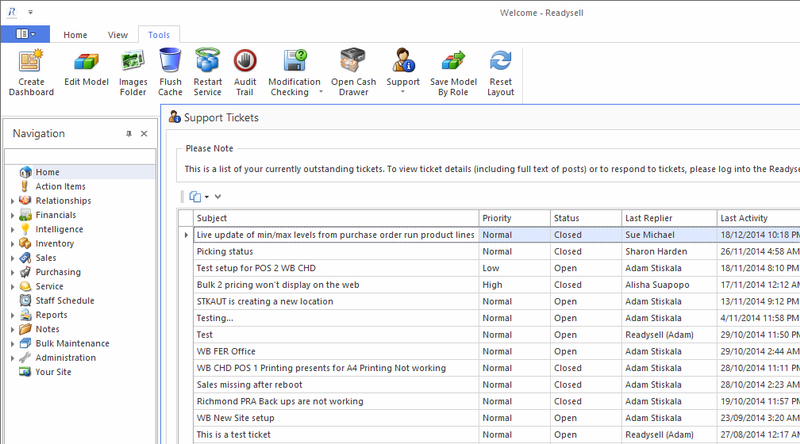 You’ll get a popup window that seamlessly shows you a summary of your tickets. You no longer need to visit and log into the Support Centre if you just want to check where your support cases are up to. There’s plenty more to explore. Here’s a full list of of changes. Our documentation is in the process of being updated to reflect the new functionality. If you have any questions, please open a ticket through our Support Centre and we’ll be happy to help you out. 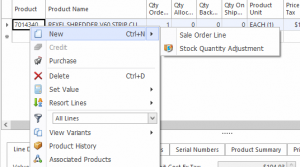 [RSELL-6301] – Add auto GP% alert feature on sales order and shipment when an item is below a % of GP. 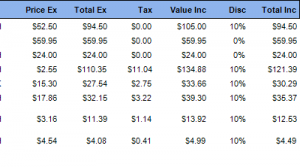 [RSELL-6480] – Change “Exl from Min/Max Upd Run” to say “Exc from Min/Max Upd Run”.